Samco coolant hose kit for R50 2002-2006 MINI Cooper Non S, and R52 2005-2008 MINI Cooper Non S convertible. 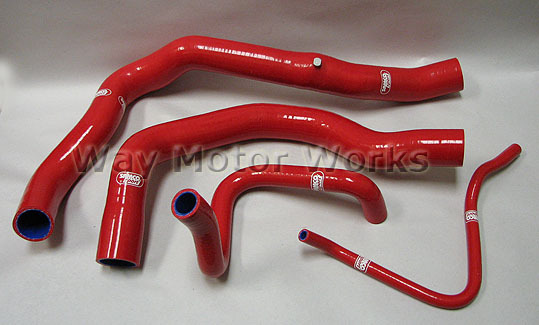 This is a complete silicone hose kit to replace the cooling system hoses. Perfect if you want to dress up your engine compartment. This kit is designed for manual transmission MINI's only, if you try to use it on an automatic you will not be able to use the lower radiator hose. Other colors listed are special order and must be prepaid will take 4-6 weeks to get.